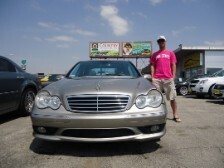 Ames cars .Com provided us with excellent service. 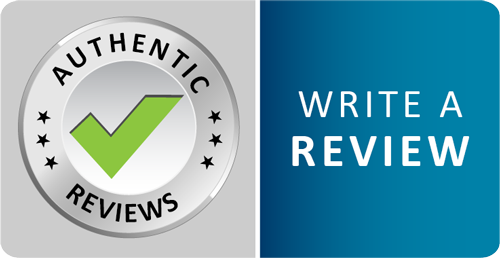 We were blessed to work with Shane who treated us with the upmost respect, while maintaining a level of honesty and clear communication that we appreciated. 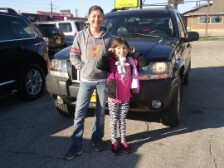 We are very pleased with our car and our experience. They gave us more than we had expected for our trade in and made it possible for us to get a car we thought was out of our range. Thanks Amescars.com and Shane! These guys are either awesome people just doing their jobs, or master salesman that make you think they're awesome people just doing their jobs. Either way, you never feel ripped off or anything like that. Very easy to guys to buy from, and you'll walk out with a car and the knowledge that there are people that would be happy to help you with your purchase at any point in time. I was skeptical having to drive 40 miles to get a car, but other reviews were favorable and the vehicle was what I wanted so I made the trip. 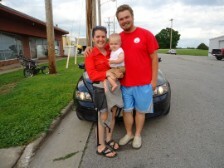 We worked with Shane and he got us in the vehicle and on the road to test drive. When we got back we worked with him and got a great deal on our trade in. 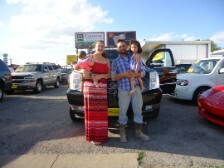 We had to come back the next day to get the vehicle and needed to get in and out fast and all of the paperwork was ready to go and there was no pressure to buy any extra warranties or anything extra. Great experience. For a few years I needed a new car but was timid with the car buying process. With the help from family and Shane I was finally able to have a reliable vehicle of my own. 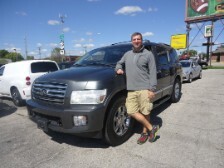 Shane was very helpful and made car buying a breeze! 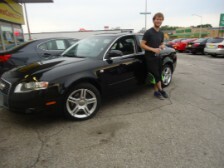 I would highly recommend Shane/Ames cars for a easy, hassle free buying experience. Thank You! I've had my 2008 Toyota Corolla for about a month and it has been fabulous! It took me to my new job in Kentucky and I couldn't be happier. 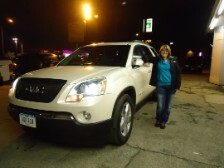 Shane sold me this car and our experience with him was fabulous. Thanks, Ames Cars! What I liked most about this place is that there is no pressure to buy. Me and my husband have visited many dealerships and this was the ONLY place that is laid back yet still professional. Shane is a pleasure to work with and easygoing. He worked so hard to get us a good deal and kept me informed with each step. Thank you again Shane! My husband and I get excited when we get into our new Escalade! 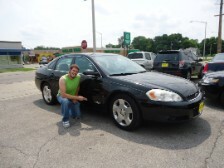 Just bought a car at amescars from Shane. He was so easy to work with and really made sure I knew what I was getting and where my money was going. 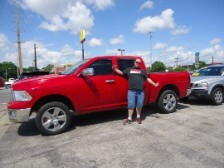 Shane did a great job of explaining things and I will definitely recommend him and the dealership to others! 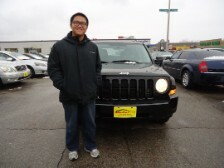 Amescars and specially Shane was very helpful and very friendly, it is the place to buy a car and to meet good people. I started contacting Shane by the email for more than a week, and then visit him to see the car and discuss with home many things, and then we kept in touch for a week, and finally we made a good decision because of the good service. Got awesome service at Ames Cars. Shane was really helpful and friendly he got me a sweet deal on my new car. Would come back again. 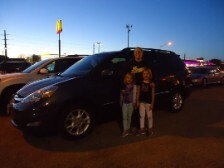 I drove from Denver, IA to look at another Toyota Sienna down the street and had horrible service. I was very happy with the service Shane and the rest of AmesCars provided me and quickly bought my van from here instead. Very friendly service. I would recommend them for anyone looking to buy a new vehicle. 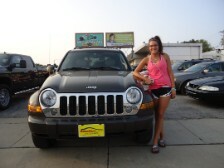 Bruce Ackerson and myself are very happy with the customer service and all around experience with Ames Cars! This Dodge is in great shape and will look awesome in our driveway! Shane is very helpful. The customer service is awesome. The Jeep is in a good condition. Thanks for the service and have a good holiday! 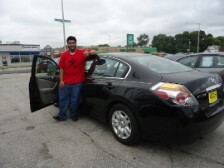 Shane was a great salesman, was willing to go out of his way for me, the buyer, and was a very respectful and knowledgeable individual Shane had great communication skills and was dedicated to the sale and job. 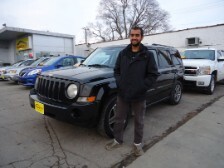 Overall a great experience and would recommend this place and salesman to anyone searching for a vehicle.